Officers at Vladimir Central. (c) Alexey Kudenko / RIA Novosti. All rights reserved. We continue our partnership with OVD-Info, an NGO that monitors politically-motivated arrests in Russia. Every Friday, we bring you the latest information on freedom of assembly. This week, we begin with some good news, especially since there’s been quite a lot. 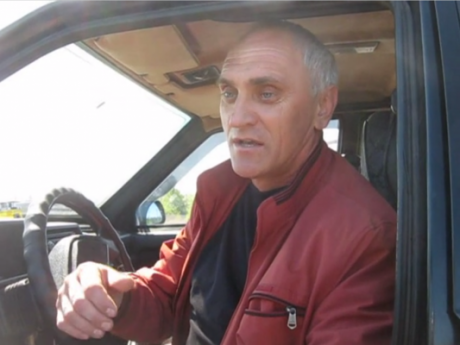 The prosecution of Igor Stenin, leader of the Russians of Astrakhan movement, has been dropped. Stenin had been sentenced to two years in open prison for posting comments about the war in Ukraine online, as well as comments by another individual about the conflict. Subsequently, Stenin was moved to a general regime prison colony. The court has now found Stenin committed no offence. In Chelyabinsk, a court ruled that the compulsory psychiatric treatment of Aleksei Moroshkin, committed to a psychiatric hospital for incitement to separatism after publishing material online on the creation of a Urals People’s Republic, must end. Moroshkin has spent more than 18 months in a psychiatric hospital. True, so far neither Stenin nor Moroshkin have been released. 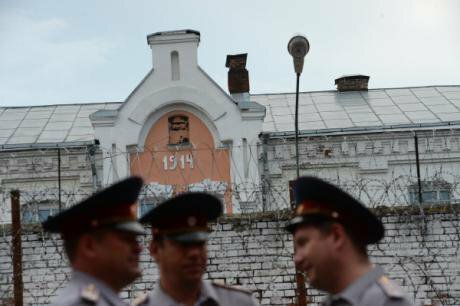 The ruling by the Chelyabinsk court in Moroshkin’s case enters into force in ten days’ time, while the Tambov prison colony (where Stenin is held) has no scanner to read the digital signature of the Astrakhan court. Meanwhile, in Ulyanovsk the prosecution of Daniil Alferev, a Left Bloc activist charged with incitement to extremism for a parody speech at a rally, has also been dropped. And one other piece of good news: a Moscow court has ruled that Ildar Dadin, released from prison following his acquittal on charges of “repeated violations of the regulations for conducting public events” should be paid 2,000,200 roubles (£27,000) in compensation (true, Dadin originally asked for 5,000,000 roubles). Prosecutions continue in the “26 March Case” concerning alleged attacks on police officers during an anti-corruption protest in Moscow. Two people, Yury Kuliy and Aleksandr Shpakov, have already been sentenced to terms in prison, despite the fact that they pleaded guilty. Two other defendants, Stanislav Zimovets and the recently arrested Dmitry Krepkin, have maintained their innocence. The trial of Zimovets will open on 5 June. Meanwhile it has become known that the “victim” in the Zimovets case was injured not during the break-up of the rally, but before it, during training. Alexei Navalny’s supporters plan a series of protests under the slogan “We demand answers” in various Russian cities on 12 June. The proposed event has not yet received official permission in Моscow and many other cities. But this is only part of the problem. In Sarapul (Udmurtiya), police have visited one of the organisers at his home. The same has happened to several activists in Bryansk. In Apatity, Murmansk region, an activist has received threatening phone calls from unidentified persons claiming to be police officers. In Khanty-Mansiysk, an organiser has been persuaded to cancel a rally by the head of the local university and the police. In Kazan, activists working for Aleksei Navalny’s election campaign have been arrested (they were detained as they erected a campaign stand in the street). And in Irkutsk, unidentified individuals brutally assaulted the son of the owner of the premises housing Navalny’s campaign headquarters. Dmitry Boinov, an activist who has campaigned to save Moscow’s Dubki park, has been given a suspended sentence of three years and three months. Boinov himself was seriously injured during the defence of the park (his leg was broken), but at the same time he was charged with attacking private security guards. Andrei Osmachkin, a member of Russia's For Human Rights movement, has been charged with theft, inducing a minor to criminal activity, illegal possession of a firearm and illegal possession of drugs. Source: gorod48.ru. Meanwhile, in Lipetsk, a criminal investigation has been launched against local human rights defender Andrei Osmachkin. Osmachkin has been remanded in custody for two months. Those close to him are convinced the charges have been fabricated. Osmachkin had run into trouble previously when he opposed the actions of the local authorities (for more details see our website). From 1 June in a number of regions, including Moscow and St Petersburg, restrictions on holding public events are being introduced in connection with the Confederation Cup. At OVD-Info’s request, lawyers are drawing up legal assessments of these measures. On 5 June, the judgment in the case of Natalya Sharina, director of the Moscow Library of Ukrainian Literature charged with inciting interethnic hatred on the basis of books found in the Library, as well as misuse of funds, is to be handed down. The prosecutor has asked for the Sharina to be given a five-year suspended prison term. You can read about the latest court hearing in the case (before the sides make their final statements). Boris Kupriyanov, co-founder of the Falanster bookshop, former deputy director of Moscow City Library Centre and general director of Gorky.media, comments on the case. We also explain what problems libraries are facing in Russia nowadays. The trial has begun of Yury Dmitriev, head of the branch of the Memorial human rights organization in Karelia, charged with taking photos of a minor for the purposes of making pornographic images, sexual abuse and possessing a firearm. We recommend as a long-read the investigative journalism of Aleksandr Burtin about Dmitriev’s work and how the case against him arose, published on the website of the media-project Les. Thank you for helping us keep going! Your support enables us to continue our work, providing assistance every day 24/7. You can support OVD-Info here. Translated by Rights in Russia.